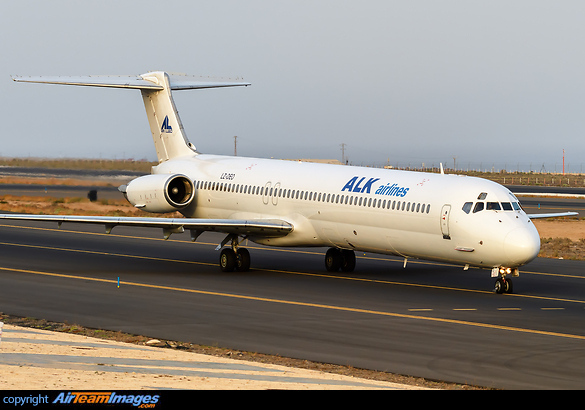 The MD-80 series is a mid-size, medium-range airliner, the design was the second generation of the DC-9 with two rear fuselage-mounted turbofan engines, small, highly efficient wings, and a T-tail. The aircraft has a distinctive 5 abreast seating. The MD-82 has uprated engines that give it a better hot and high performance. 2 x Pratt & Whitney JT8D (16000 - 20000 lbf) turbofan engines.